A tropical low pressure system in the East Sea has been heading towards the mainland of Vietnam and likely to bring more heavy rains and worsen flooding in the south-central and southern regions, reported the National Hydro Meteorological Forecasting Center. The system was located 110 kilometers east-southeast of the southern province of Ba Ria-Vung Tau at 7a.m. on October 5. Strongest winds near the center of the system reached level 6 moving 40-50 kilometers an hour. Torrential rains have already caused flooding in the Central Highlands and the south-central region for the last couple of days. 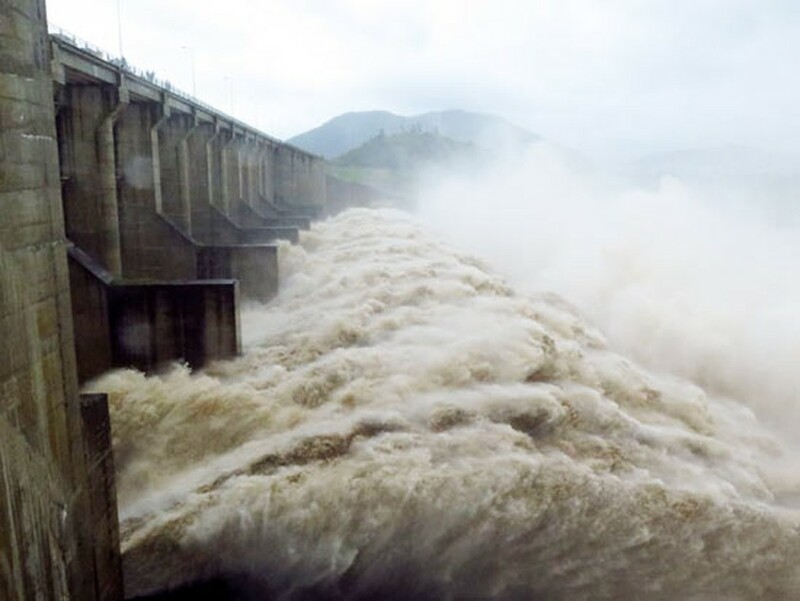 Many hydropower reservoirs have been releasing floodwaters. 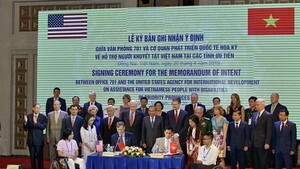 The Minister of Industry and Trade yesterday sent two missions to Gia Lai and Phu Yen provinces to ensure that hydropower reservoirs will operate safely and not affect low-lying areas. 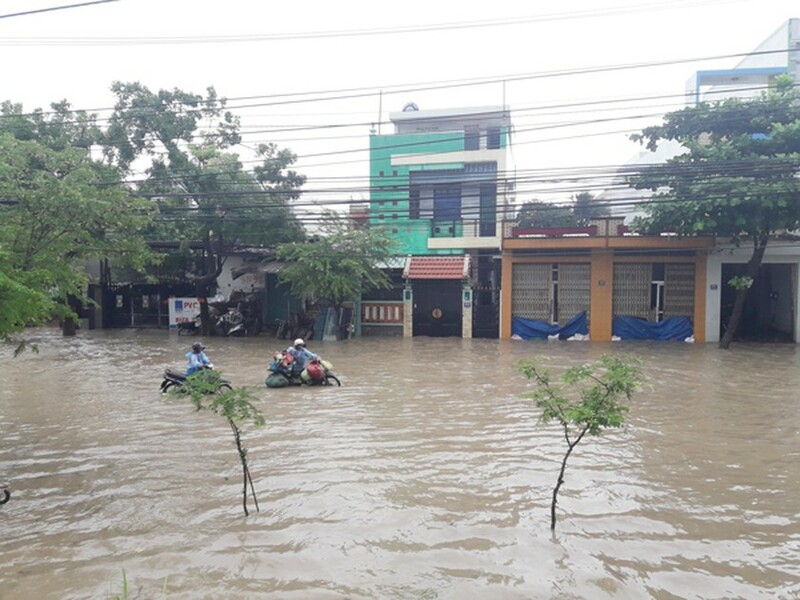 The Central Steering Committee for Flood and Storm Prevention has sent a dispatch asking local authorities especially those from Binh Dinh to Kien Giang provinces to prepare for evacuation of residents from possibly flooded sites and guide boats to move out from dangerous areas. According to the Natural Disaster Prevention Agency in the Central Highlands, floodwater has receded in rivers from Quang Nam to Khanh Hoa provinces. The level has still been high in Phu Yen and Khanh Hoa because of hydropower reservoirs’ release. Over 3,000 houses in Binh Dinh and Phu Yen were still submerged under 0.3-1 meter of water by late afternoon yesterday. A fishing boat with four fishermen aboard was sunken 500 meters off the shore in Phu Yen. Rescue forces have saved three and sought the missing one. Quang Ngai province has mobilized resources to repair 40 landslide spots stretching 8 kilometers in 18 roads. The neighboring province of Binh Dinh has also remedied rural roads and small bridges damaged in the flooding. 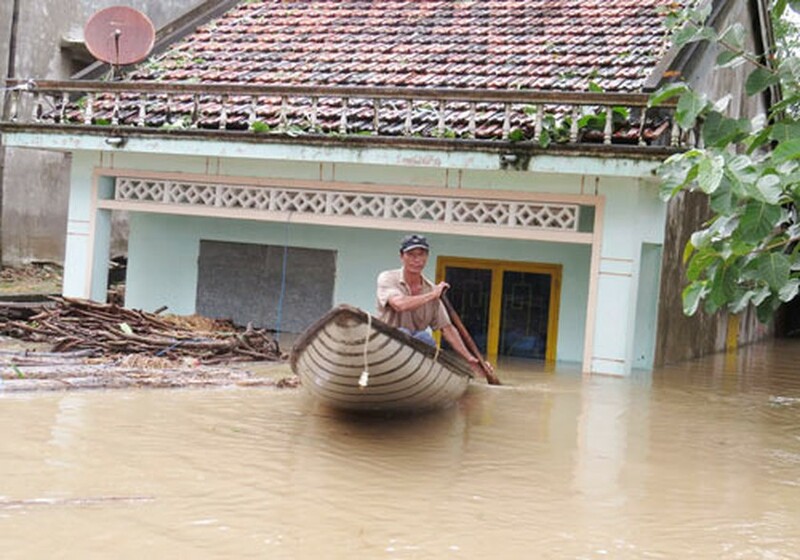 Torrential rains of 100-120mm have swollen many rivers in Khanh Hoa province where many areas have been badly inundated and completely isolated for the last two days. 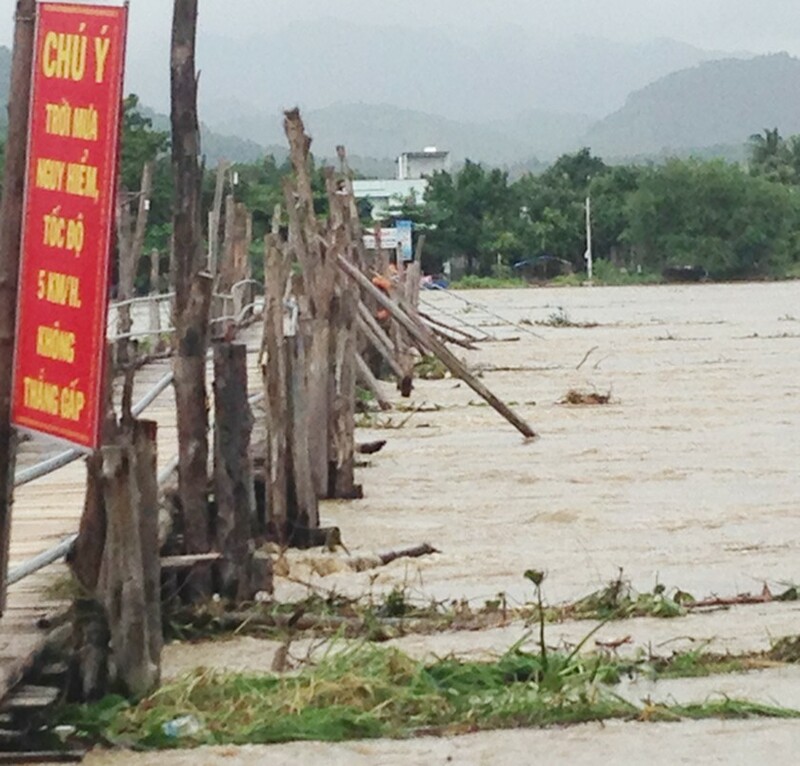 The People’s Committee of Nha Trang city has evacuated 43 households to safety. The mountain pass road leading to Lam Dong province in Khanh Vinh district has been obstructed with landslide debris at 10 spots. The district has displaced 13 households from landslide and flooded prone portions. Heavy rains are likely to further swell rivers in the province. Binh Thuan province reported that the tropical depression has stirred the waters off the province and upturned six fishing boats with high waves, no human loss has been recorded. Local authorities have rescued two boats and continued towing the four others ashore. At least 2,500 hectares of vegetable crops have lied under floodwaters because of long lasting rains and floodwater discharge from hydropower plants in Lam Dong province. Mr. Phan Cong Ngon, head of the provincial Search and Rescue Committee said that quickly surging floodwaters forced most hydropower plants to unleash floodwater yesterday. They included two largest ones in the southern Central Highlands namely Da Nhim and Dai Ninh. HCMC has braced for the tropical depression. Fishing boats have been guided to shelters while citizens have been evacuated from low-lying areas in Can Gio district. Local authorities have also helped fortify houses to cope with impacts from the tropical depression.